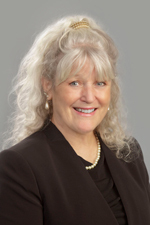 Sharon Colborn focuses her practice on assisting attorneys with medical malpractice defense litigation. She assists attorneys with the medical aspects of cases, including evaluation of medical records and clinical resources, preparation of reports, and trial preparation. Ms. Colborn is a Registered Nurse in both Missouri and Illinois, and has substantial nursing experience as well as legal nurse consulting experience. Her background assisting plaintiff attorneys gives her a unique perspective that she brings to bear in assisting defense attorneys. Ms. Colborn assisted attorneys in the successful litigation of a $4 million nursing home case. Ms. Colborn joined Hinshaw & Culbertson LLP in July 2012. Previously she worked as a staff nurse, resource nurse and lead charge nurse for Barnes Jewish Extended Care, in Clayton, Missouri. Ms. Colborn was for eight years a legal nurse consultant at a well known plaintiff firm in Wood River, Illinois. Her nursing experience is substantial; she has worked as a school nurse, a pediatric office nurse, a wound and ostomy nurse, an institutional advisory nurse, a staff nurse and a patient coordinator, as well as a director of home health services. She also worked for a number of years in consulting and sales of therapeutic support surfaces and was recognized as a salesperson of the year, receiving an award for growing her sales territory as a nurse consultant. Ms. Colborn served in the U.S. Army from 1971 to 1978, was honorably discharged from the Service with the rank of E-5. She was a first Lieutenant in the U.S. Army Reserve Army Nurse Corp/IRR from 1984 to 1989.